1. Work hard. Drink big. 2. 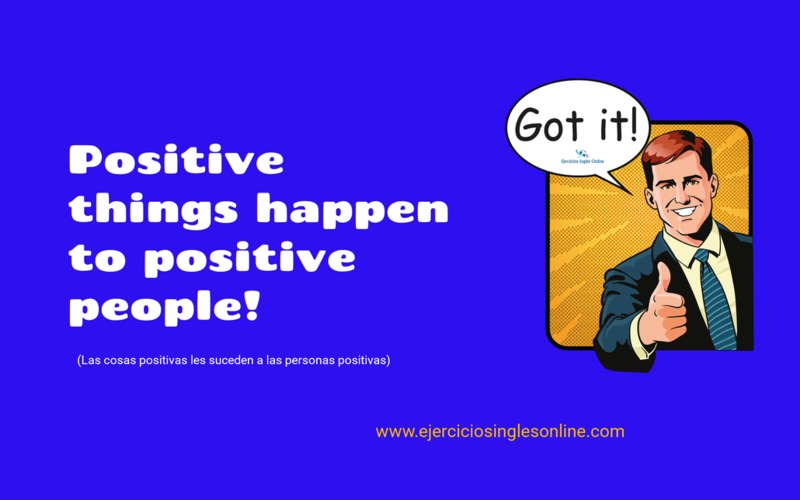 Positive things happen to possitive people. 3. Opportunities don't happen. You create them! 4. Don't raise your voice, improve your argument. 5. All your dreams can come true, if you have the courage to pursue them. 6. Early to bed and early to rise makes a man healthy, wealthy and wise. (Irse a la cama temprano y levantarse temprano hace a un hombre sano, rico y sabio). 7. Success is where preparation and opportunity meet. 8. Honesty is the first chapter in the book of wisdom. 9. Try to be rainbow in someone's cloud. 10. Light tomorrow with today!